No one wants to admit it, but the warm weather is coming to an end. 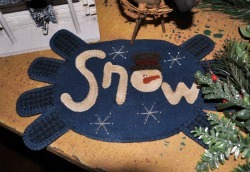 This sweet pennyrug pattern by Tara Lynn Darr of Sew Unique Creations is just the fun project needed to get excited about the snow flying once again...and it will keep your hands warm while you are working on it! 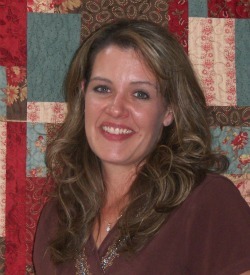 Tara Lynn Darr, owner of Sew Unique Creations, comes from a long line of quilters and stitchers. She grew up in a tiny town in Indiana, where many family members were quilters and sewers. She turned her love of sewing into a cottage industry business by making dolls, and other needful things to sell at craft fairs and give as gifts. Quilting and crafting have opened many doors. Tara has gone from craft fairs, creating dolls from other pattern designers patterns, to designing her own patterns and marketing them to quilt shops throughout the world. You'll find her work in national magazines and on the internet. Her quilting vision and dream changed in 1999, when a friend cheerfully invited her to come visit her at an International quilt show. It continues to grow today. 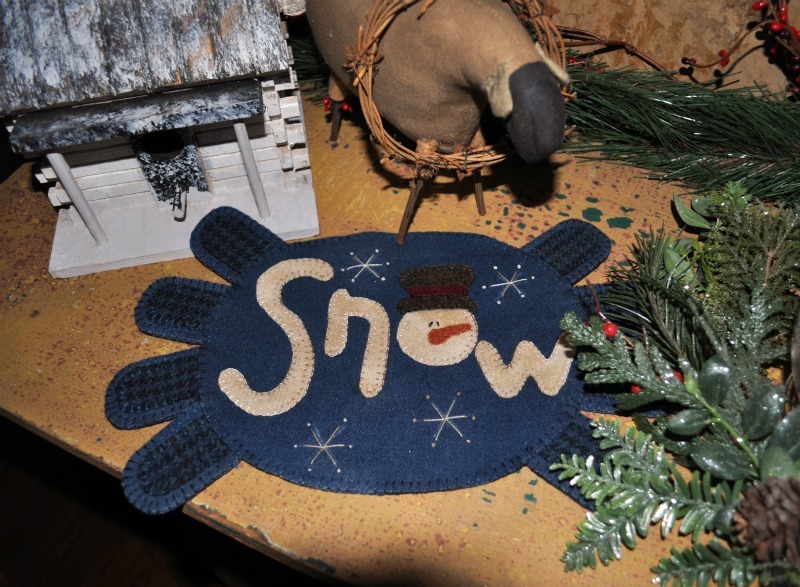 Her work is published in American Patchwork and Quilting Magazine, Rug Hooking Magazine, as well as with the Kansas City Star. Tara also self-publishes books with her work. Tara lives in Joliet, Illinois with her husband, two children and the lovable family basset hound. She enjoys hand piecing and quilting her personal quilts, reading, cooking, visiting with family, and riding her four wheeler down dirt roads and trails at out of the way locations.